The P21s Wax: Is it really worth the hype?! Another car wax with winning benefits! If you have any Add Blockers installed in your browser, you will not be able to see this page as was intended. 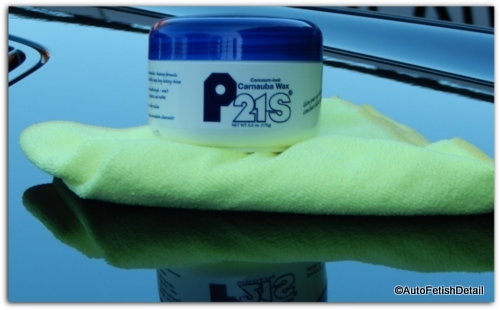 The P21s Wax has proved to be yet another excellent car wax that represents the winning combination of benefits! Finding a quality wax today has become a mind numbing search through endless car wax reviews, online forums, and other social media outlets. With advances in chemical engineering and manufacturing, today we are literally drowning in a sea of endless possibilities. While this may represent the good news to many people at a casual observation, the reality is that most guys find themselves completely overwhelmed and frustrated reading one review after another trying to find the "best" car wax. Quality ingredients from a reputable company. Competes and stands up against most of the higher priced quality carnauba based car waxes. Will be added to my list of best auto waxes. I was first introduced to this wax by a fellow detailer who recommended it to me for months before I had the chance to test it in my real world of professional detailing. With the popularity of my YouTube channel and the endless requests to do product testing, it is hard to find the time to get them all in while still operating my professional detailing business of Auto Fetish Detail. The easiest way to see the review would be to watch the video at the bottom of this page, but there are many people that would rather read or see the bullet point benefits of product testing and reviews. 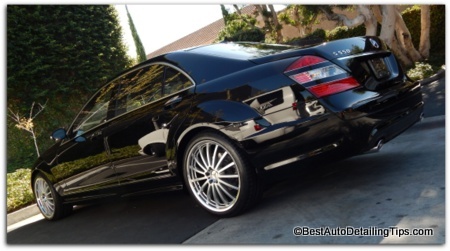 Excellent choice for any dark or black colored cars. As a rule, I am going to reach for a paste wax whenever I am waxing a black or other dark colored car. From deep reds to burgundy's to metallic charcoals. Nothing creates a deep gloss quite like a quality paste wax. I don't care if the wax is labeled as 100% carnauba or a hybrid blend of both synthetic and natural ingredients. 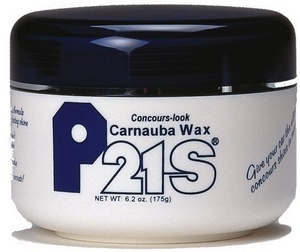 This P21s wax is a perfect choice that is economically priced that would fit into most people's budget. I have tested it on numerous cars, numerous colors, and in numerous weather conditions and it performs every time. (the above picture was taken when I applied it to the paint of a newer Mercedes S550 after doing a single step polishing job. You can help support the efforts of me and my website by choosing to use the Amazon secure inks to get any products I recommend on this site. If you have not checked out my YouTube video channel you can see the link at the top and bottom of each page where I do all kinds of product testing and offer additional tips for the enthusiast and guys.girls looking to start out on their own in the world of professional detailing. You can also help spread the word by posting this page to any of your favorite forums, blogs, or social media sites.